I’m currently reading “Appetites: On the Search for True Nourishment” by Geneen Roth. This quote hit home for me. It basically described my mental state when I was a 250 pounds woman. If any injustice happened to me, it was because I was fat. If a guy wasn’t interested, it was because he was shallow and couldn’t see passed my extra pounds. It was a negative, self-hating, shame spiral that I swirled down many, many times. Then I took control of my life and my destiny. I wanted to change my life for the better and be in charge of my emotions instead of victim to them. Achieving my goal really was my Big Victory. When I first started my journey to lose the weight I never thought it would actually happen. It was kind of like a dream that I might *someday* lose the weight. Books on positive thinking said to imagine yourself in a positive way, reaching your goals, being successful. It was hard for me to imagine reaching that goal. Some days it never seemed real. Some days I really felt like I COULD reach my goal. My recent injury has sidelined me from a lot of activities. No hiking, no running, no stairs, no this, no that. I won’t have a diagnosis until tomorrow when I see my doctor. I am trying to think positive thoughts about healing and accepting whatever the diagnosis will be. It’s been a struggle. I go back and forth feeling POSITIVE and then feeling NEGATIVE. I guess I’ve been floundering with this recent injury because I’m not quite sure what to do with myself. If I’m NOT a runner, what am I? If my life is not about losing weight and being fit, what is my life about? If I can’t run anymore, what will I do with my time? I’ve never been the type to need other people to entertain me. So it’s a struggle for me to ask for help. I’ve been leaning on Michael for support and encouragement but I can’t rely on other people forever. I need to figure this out. QUESTION: What are your hobbies? The hobbies that don’t include fitness or weight loss in anyway. If you have to define yourself by the things you love (that aren’t fitness related) what would you say? 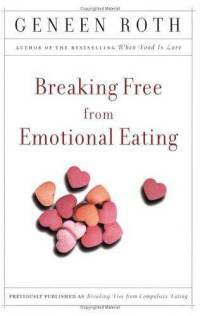 I also started reading “Breaking Free from Emotional Eating” by Geneen Roth. This book is good because I think it addresses a lot of the issues that many of us have. I myself am conflicted about my hunger. When I’m working out on a regular basis and especially running–my hunger was incredible. But when I’m not I have to remind myself that my hunger may be different. Maybe that “ravenous” feeling I’m having isn’t really ravenous–maybe it’s just habit? The book has some guidelines for eating mindfully. 1. Eat in Full View of your friends, family, partners. The author goes on to describe sneaking food and having a secretive relationship with food. 2. Eat when you are sitting down. Limit tastes, licks, bites, nibbles. Have someone else do the tasting when you’re cooking. This is one of my BIGGEST weaknesses! Cooking–tasting and nibble, and thinking that the calories don’t count. They really do and they really add up fast. 3. Eat without distraction. This means no TV, books, music, computers, etc. This one is hard for me too. I like to be efficient with my time and multi-task (often way too much) and so eating dinner while answering emails/watching Netflix/playing Scrabble online is often how I spend my time. 4. Write it all down. Everything. The nibble of cheese (that’s really 200 calories because cheese is so high in fat), the slurp of sauce, the bite of bacon…Every little nibble adds up. QUESTION: What do you love about yourself? Do you have a good relationship with the food that you eat? Besides trying to become fit and healthy I am a uni student. That takes up the bulk of my time. But in my down time I like to do puzzles and watch crime dramas. I don’t know how I would define myself, besides busy! I get bored if I’m not doing something. What do I love about myself? The fact that now I can run 3 minutes without stopping. This is big for me! I’m loving the runners legs that are developing! A good relationship with food? Not yet, but I’m getting there. Like you, I like to eat real food. A steak and salad with potato, thats my idea of a meal. But allowing myself to see that there aren’t good and bad foods, just foods that you should eat more or less often, that is a struggle for me! Geneen Roth is awesome. I’ve been reading her for years. She has helped me through a lot of tough times. I’ve definitely been in a place where if my exercise were taken away from me I’d be lost, but then I moved on to other things. Some good, some not so good. I’m glad that you have swimming as a fallback, and I can totally understand how you would miss the high of running. I’m getting some of my weightlifting high back and am realizing how much I missed it. This is a great post and something I’ve been thinking about a lot lately. Does weight loss have to be at the center of your identity to succeed and maintain your healthy weight? Or at some point do you go on to be a “normal” person with a “normal” attitude about food? Weight loss and fitness are certainly not my only interests, but they do take up a lot of my time and thoughts. Just found your blog. Very inspirational. Just beginning my journey. Trying to stand firm. Thanks for the book review. It really spoke to me. Good luck on your journey! I really liked the Roth books and am reading more of them. Wow. I don’t even know what I’d say about my hobbies if I eliminate everything fitness / health related. 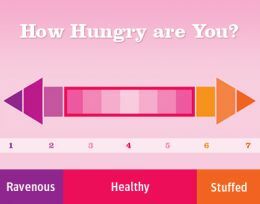 I like cooking and being creative in the kitchen, but that passion stemmed out of healthy living… i guess happy hour? haha. pathetic! I’m glad I’m not alone in this boat!! I used to be a writer. I read a lot. I love movies. But those are all sedentary things!